Value Stream Mapping (VSM) is a well-known Lean Manufacturing tool used to support wastes identification and value creation. The purpose of this paper is to present the application of this tool to the setting up of a new pre-series production area. To do so, a case study is presented from the automotive plastic sector. 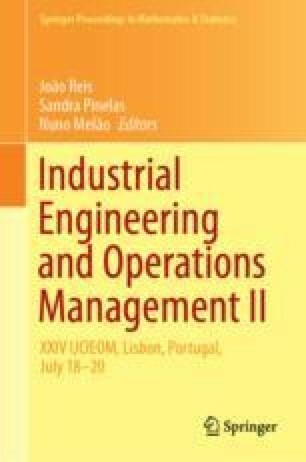 In this case study, VSM was used to improve the implementation process of a pre-series production area operating in a project manufacturing or engineer-to-order environment. The objective was to improve the industrialization process in the pre-series phase in order to ensure that the industrialization of new projects is aligned with the needs of the clients. Through the use of the VSM tool, in a representative project, significant improvements were obtained in the process, such as processing times and lead times reduction. This work was financially supported by the research unit on Governance, Competitiveness and Public Policy (project POCI-01-0145-FEDER-006939), funded by FEDER funds through COMPETE2020—POCI and by national funds through FCT—Fundação para a Ciência e a Tecnologia.